NYC, 02/07/2019, 7:00PM. The Business of Fashion Photography. The world of editorial fashion photography is transforming as rapidly as the commercial marketplace. Creating and properly marketing a body of work is instrumental in developing multiple revenue streams to support your business while at the same time keeping your work relevant in an increasingly international context. 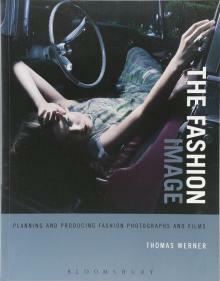 Thomas Werner, author of the book The Fashion Image, will be in conversation with powerful young fashion photographers Yulia Gorbaschenko, Ruo Bing Li, and Peter Ash Lee to learn about the changing business of editorial and commercial fashion photography and fashion film, the role of social media in marketing and as a revenue stream, how to keep your vision fresh, and where the world of fashion is going from here.